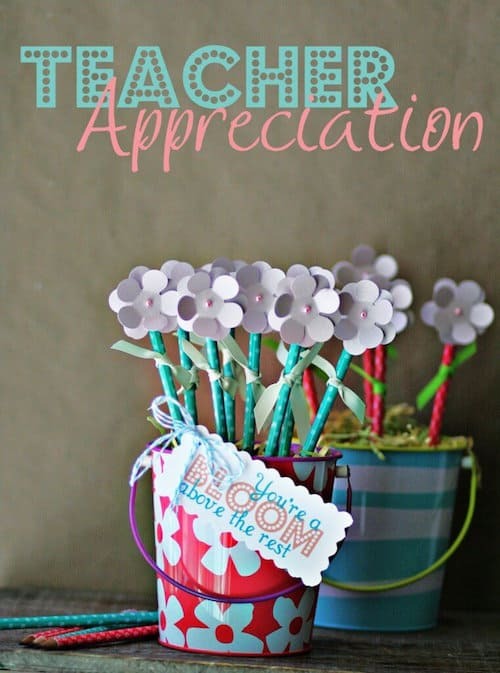 Show the teacher in your life a little love with this collection of over 20 teacher appreciation printables! Just add a ribbon and gift and you’re done. Teacher appreciation is very special to me! Why? My mom is a teacher! She has her master’s degree in learning and behavioral disorders, which was a big help given that my youngest brother had some issues. My mom managed to work and raise a family, which is what a lot of teachers are doing these days. And that’s no easy task! I can’t imagine teaching 25 littles during the day and then coming home to your family . . . that requires a lot of energy! 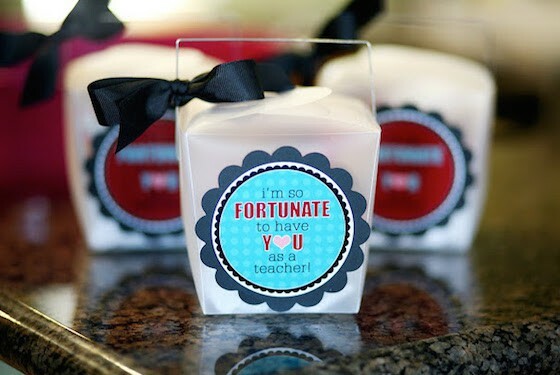 Show some love for your children’s teachers with these cute teacher appreciation printables. They make it easy for you. Just throw in a gift, a little ribbon, and you are good to go. 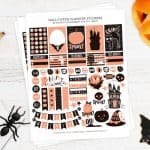 I have a great collection of printables below that you’ll love – just scroll down and grab your favorites! You can get chinese takeout boxes from any craft store or Target – just add fortune cookies. 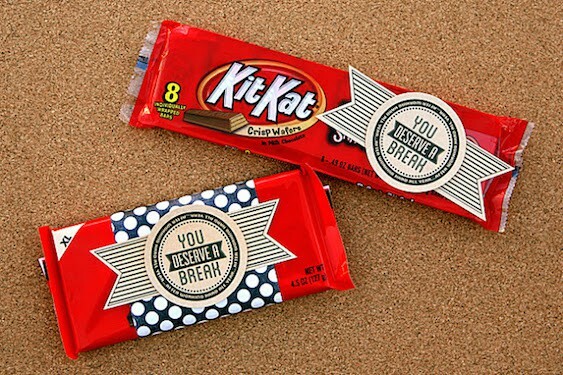 What a fancy (and cute) way to wrap up a Kit Kat bar! This would be great for anyone who needs a break, not just a teacher. Everyone loves cookies! 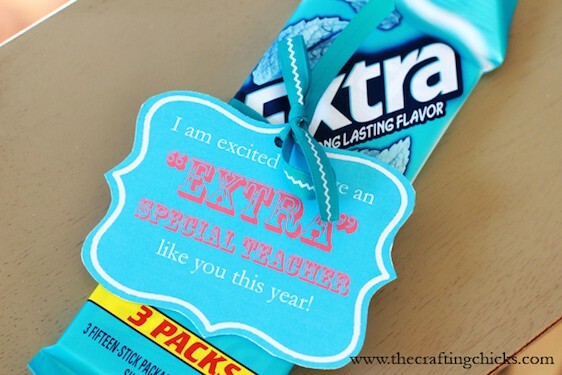 Make your teacher’s favorite and add this cute label. For the teacher who doesn’t want sweet treats or gift cards, this beautiful bouquet is perfect. 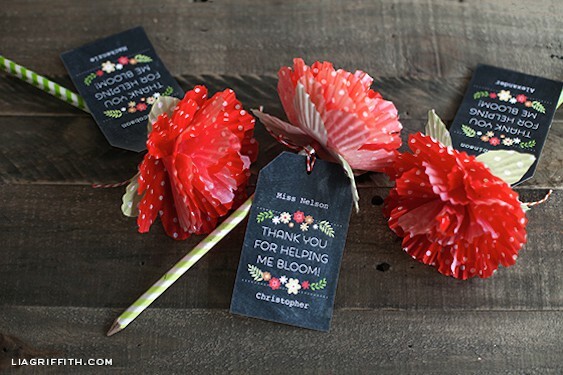 Add these pretty tags to handmade decorated pencils with washi tape and cupcake wrappers! Who doesn’t love donuts? I’m happy to do just about anything to earn one, and teachers definitely deserve them! Are these not the cutest little paper berries ever? 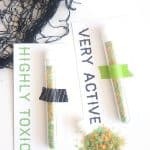 Cindy teaches you how to make them (they are mini boxes!). You can add any sorts of goodies or gift cards you like to this printable box. This holder is just right for any gift card or even a sweet note. Does your teacher love mocha-latte-chinos? Give them a gift card to buy one! 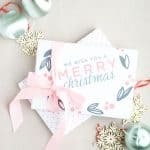 If you already have the gift but just need some fun wrap, this printable is perfect. 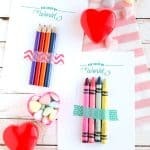 Make a fun pencil or pen bouquet for the teacher who loves supplies. Is your teacher extra special? Give her (or him) this cute printable with a pack of gum! This printable goes perfectly with a box of Junior Mints (such a tasty treat)! This printable is perfect for all sorts of sweet baked goods – and these honey bun mini loaves look delish! Is your teacher the best . . . bar none? Add this printable to the candy bar of your choice. I’m always looking for an excuse to give someone a mason jar – so this is a great idea! This quote is such a special sentiment for how teachers feel about their job. A Target gift card is just about my favorite thing in the world. This is a perfect holder for one! Teachers need to keep hydrated too! This gift is for a tea-riffic teacher. 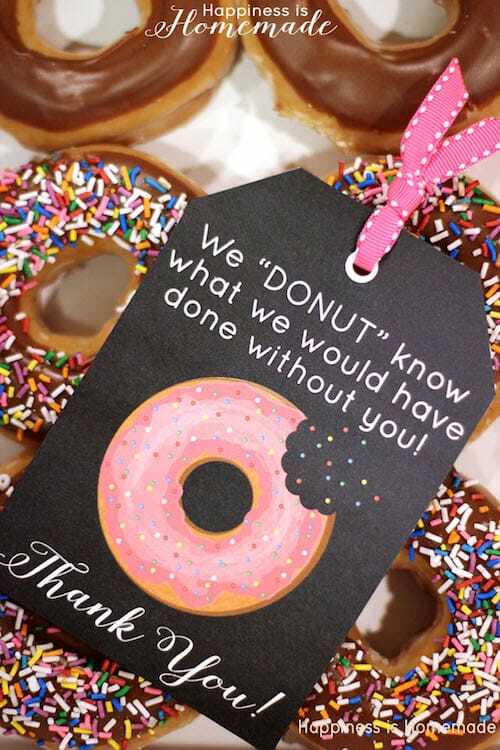 Which of these teacher appreciation printables are you going to try? Let me know in the comments!